This dope must of been high on his own supply. 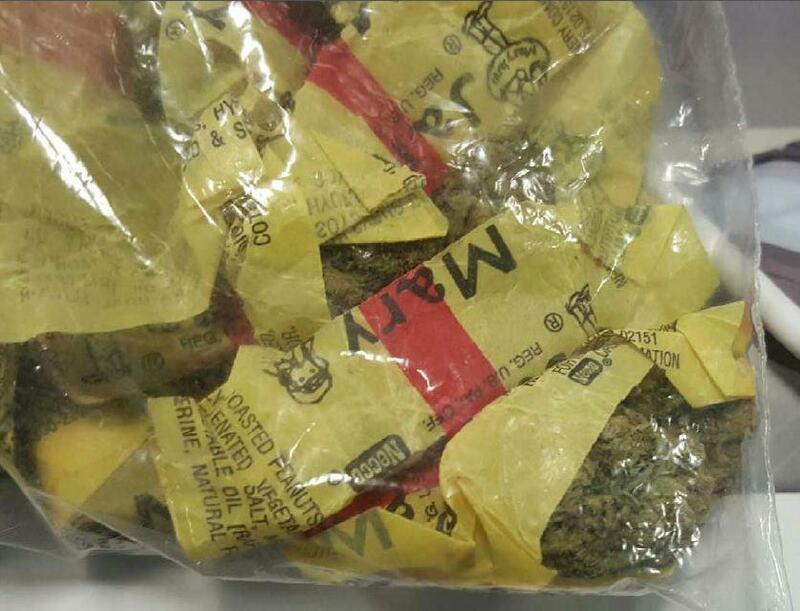 A passenger at Newark Airport tried to sneak a stash of marijuana past the TSA — disguising it in Mary Jane candy wrappers, authorities said. Gregory Murphy’s “bad trip” started Friday at around 5pm when he heard his name being paged over the loudspeakers as he prepared to board a plane at Gate 85, according to Port Authority police. The 49-year-old Toms River, N.J. resident was confronted by TSA officers after they discovered Zig-Zag rolling papers and “a green leafy vegetation” inside of his checked luggage. Murphy later admitted to Port Authority police that the greens — which was wrapped in seven Mary Jane candy wrappers and concealed in a plastic zip-lock baggie — was in fact marijuana and that it and the rolling papers belonged to him, authorities said. Murphy was arrested and issued summonses for possession of marijuana under 50 grams and possession of drug paraphernalia. He has been released and is due in court on July 7th. 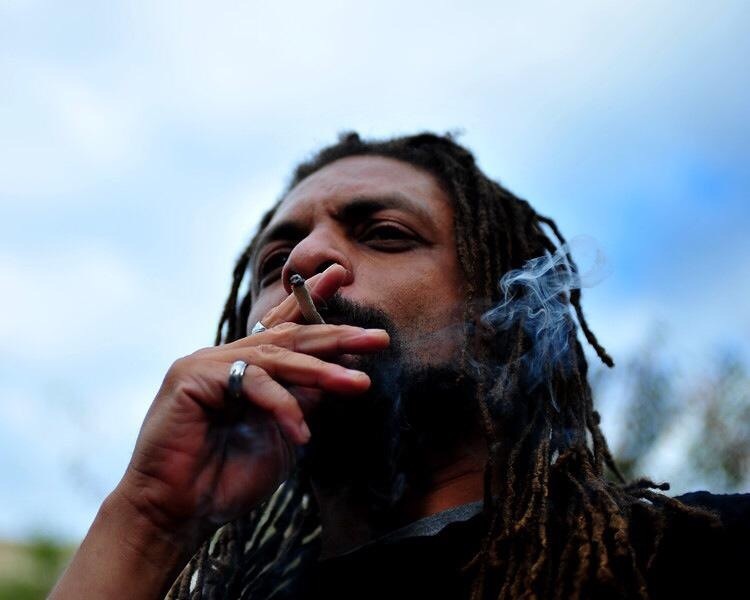 MOUNT HOLLY — A jury found Ed “NJWeedman” Forchion not guilty Thursday in the Rastafarian activist’s marijuana distribution case. The decision came after Forchion was nearly held in contempt of court in the morning as he delivered his closing argument. Stay tuned for details of Thursday afternoon’s verdict. Forchion, formerly of Pemberton Township, tried to introduce his jury nullification argument into the closing, but was quickly stopped by Superior Court Judge Charles Delehey, who had barred any discussion of it. Forchion began verbally sparring with Delehey, who then ordered the jury out of the room and told the defendant he would be held in contempt if he continued to ignore the court’s orders. Jury nullification would allow the jurors to disregard the law they were ordered to follow in considering the case and acquit a defendant, no matter what the evidence, in effect nullifying or invalidating the law. 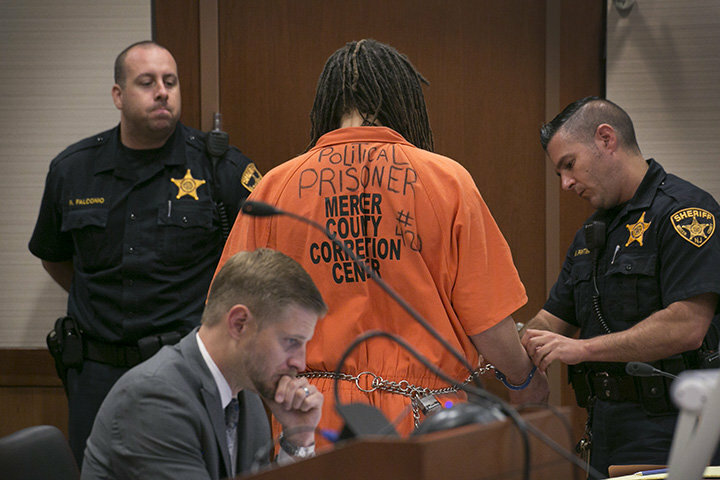 Forchion, wearing a “Marijuana … It’s OK. It’s Just Illegal” T-shirt, refused to talk to his court-appointed attorney during the brief recess, but when Delehey and the jury returned, he toed the line and abandoned his blatant jury nullification pitch. Instead, the legalization activist focused the jury on his plight as a licensed medical marijuana patient in California who brought a pound of pot to New Jersey in April 2010 for his own use. The state alleged that because of the sheer volume of the marijuana, his intent was to distribute it. Burlington County Assistant Prosecutor Michael Luciano told the jury that the case was not “a political referendum” on medical marijuana or legalization. “It is not a litmus test on the war on drugs,” he said. Luciano also said the numbers and common sense should lead to a guilty verdict, noting that Forchion had enough pot on him when he was stopped by police in Mount Holly on April 1, 2010, to smoke for months. By Luciano’s calculations, Forchion would have to smoke two to three joints an hour nonstop for 24 hours to get through the pound of marijuana in about six months. NJWeedman disputed the prosecutor’s math and said it doesn’t fairly portray how he uses the drug. At a trial earlier this year, Forchion was convicted of possession, but the jury deadlocked on the more serious distribution charge, leading to this week’s retrial. Latest update on his case in New Jersey in which he is hoping to utilize “Jury Nullification” . The panel in Mount Holly on Wednesday convicted Ed Forchion of possession of one pound of pot in the trunk of his car. However, they could not reach a verdict on whether he intended to distribute it. The 47-year-old moved to Los Angeles several years ago to run a medical marijuana dispensary. He was arrested during a traffic stop in April 2010. He could not use New Jersey’s medical marijuana law as a defense. Forchion told The Courier-Post of Cherry Hill (http://on.cpsj.com/JhKWmV ) he was happy he didn’t get thrown in jail while he awaits a retrial for the distribution charge. A medical marijuana primer Writer searches high and low for best weed. New Jersey will open its first medical marijuana dispensary in the fall—nearly three years after a medical marijuana bill was signed into law—but according to writer Mark Haskell Smith, whose new book is a personal tour of the cannabis industry, the East Coast has a lot of catching up to do. Mr. Smith’s search for the perfect weed—which is described as “dank”—took him to Amsterdam and to dispensaries in the U.S. and Canada. Though liberal drug laws gave the Dutch a head start on cultivation, he believes American growers are now on the cutting edge. He argues that medical marijuana is not a cover for overall legalization, which he supports. “There are hundreds of things it can treat,” he said.